Hey there guys. It's been awhile since I have shared some of my beauty/skincare buys and now I am. 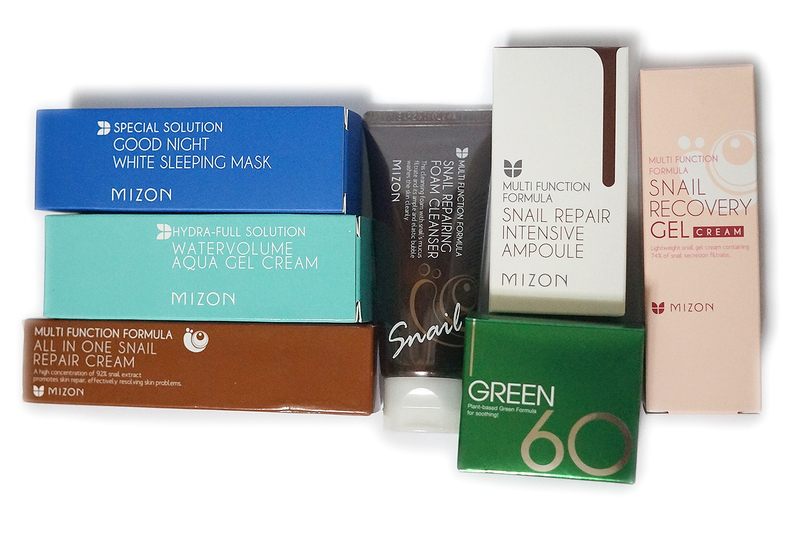 Mizon is probably one of my favourite Korean skincare brand as their products are mostly effective as well as very affordable. 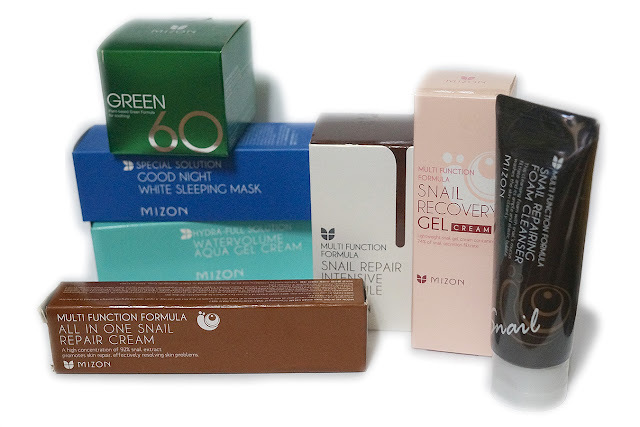 I have tried most of their Snail line so I have been venturing out to their less well-known products. You know that my love for beauty is only equaled by my love for bargains so these purchases are actually budget-friendly. 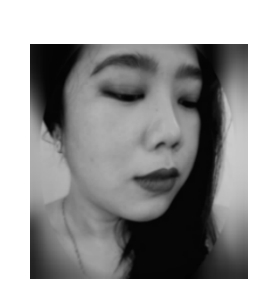 If you know where and when to buy, you can get great bargains of Mizon products (I bought tmine from eBay and Althea). 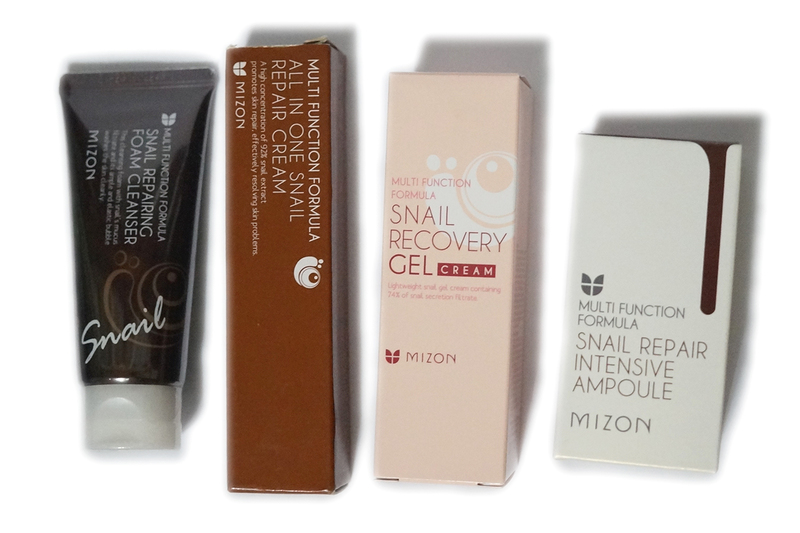 Mizon's snail foam cleanser, snail repair cream and snail recovery gel cream are in my regular skin care rotation. I do think that these work quite well and are very effective in keeping my skin supple-looking and almost blemish free. I'm looking forward to trying out the ampoule because I have read good reviews on it.